The Ashdown Forest consists of 11 square miles of beautiful heathland and forest. It is located in south east England and spans the borders on East Sussex, West Sussex and Kent. 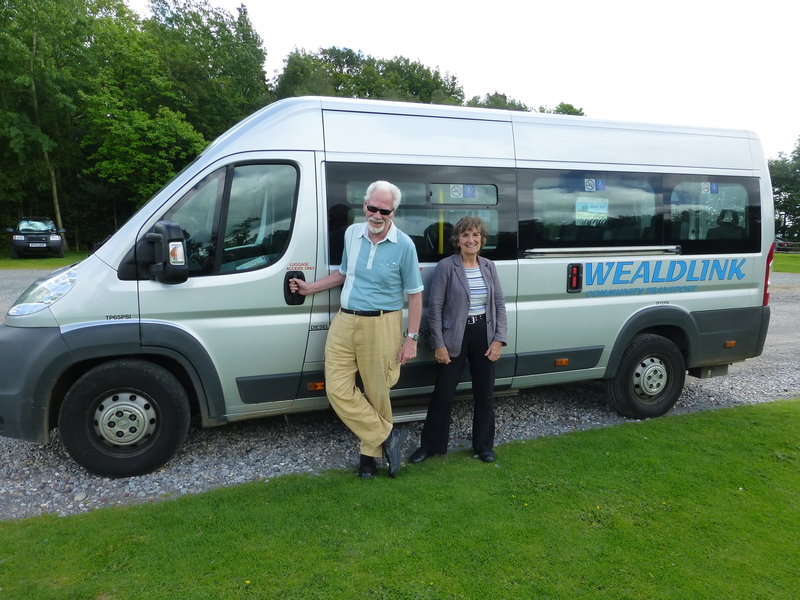 The Ashdown Forest Tourism Association covers the Forest itself and surrounding towns and villages from East Grinstead and Felbridge down to Uckfield and West Hoathly and Ardingly over to the edge of Tunbridge Wells. To download a map of the Ashdown Forest showing the location of all AFTA members please click below. 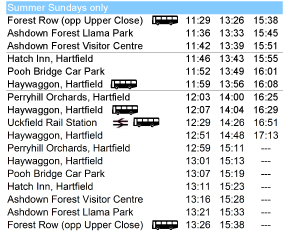 A new Sunday Minibus Service will operate through the Summer on Sundays only. The route is shown below. Individual tickets can be purchased on the bus or a Family Explorer Ticket is available for about £12. This provides all day bus travel across the Forest for a family of one adult and four children or two adults and three children. This is a hop-on service and the minibus can be flagged down across the Forest at convenient locations. Therefore why not use this service to explore the Forest. 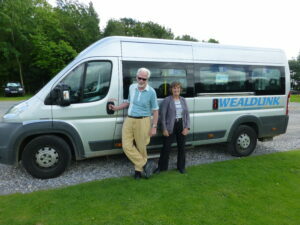 Take the minibus into the Forest, have a walk and then pick up the bus at a late stage of the journey! They are based in Forest Row and provide a taxi service to and from airports and stations and other locations. They are also able to provide 1/2 day and full day tours around the Forest.